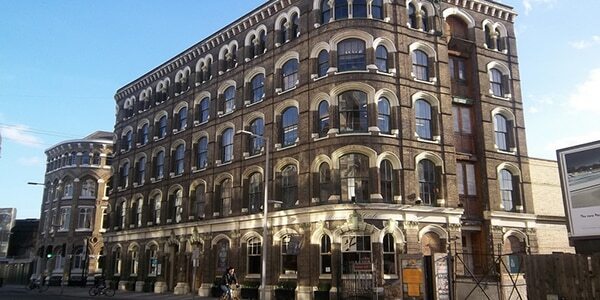 The Menier Chocolate Factory is located, as the name would suggest, in a former 1870’s factory used by the Menier Chocolate Company. The theatre opened in 2004, after the building had been derelict for more than 20 years, under Artistic Director David Babani. The theatre presents a mixed bill of play revivals, comedy (with performers such as Victoria Wood), music and new writing within its 180-seat space, but some of the most notable productions in its history have been its musical revivals. These include Sunday in the Park with George (2007), La Cage aux Folles (2009), and A Little Night Music, all of which transferred to Broadway to critical acclaim. Since the theatre’s exception, its productions have collected 7 Olivier Awards and the venue itself won the Peter Brook Empty Space Up and Coming Venue Award in 2005. To this day, the theatre continues to produce top quality musical and play revivals, often to rave reviews.